Here is a useful gadget the SATA HDD Dock with one touch backup. 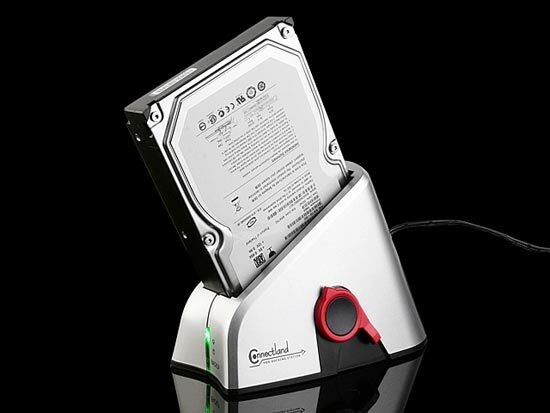 The SATA HDD Dock with one touch backup lets you plug in 2.5 inch and 3.5 inch hard drives to your PC via USB or eSATA. It features a one touch backup function that lets you copy files direct from your PC to an external HDD. The SATA HDD Dock with one touch backup is available for $49 from Brando.